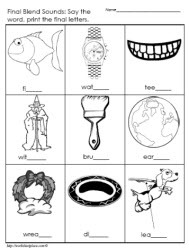 Phonics worksheets. 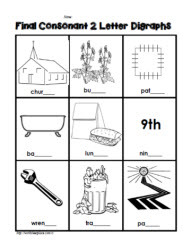 Final consonants. The sh and ch sound at the end of words. First grade phonics.